Mozilla Firefox Mobile Web Browser for Android is Kicking! 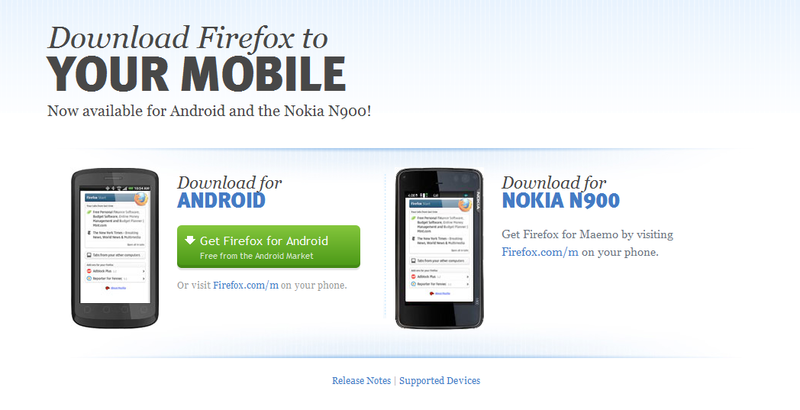 Mozilla Firefox Mobile Web Browser for Android mobile phones is now out. The secure and fast web browser is now in your Android phones. Available for Android 2.0 and above. Installation requires about 17 MB internal or SD card storage. For list of tested and supported devices you can go here.